I had a lot of new clients this week. What I witnessed on my first visit, many of them had in common. Their puppies and dogs didn't have manners, didn't obey them consistently, and the owners didn't have a clue how to train them. One home, in particular, had a 1 1/2 year old Chocolate Lab. Chloe is a beautiful dog--but within seconds the very hyper puppy she is, jumped up on me, nearly knocked me over, snatched my water bottle, opened it, and it began squirting water all over the floor like a fountain. While I was busy trying to pick up that mess, Chloe grabbed one of my boots and took off running through the house back and forth like she was the star in some dog show. Hilarious, but crazy! The owner shook her head. "I'd like to say she never acts like that, but this is exactly how she acts every day and I have no control over her. She even bullies my smaller dog." Some people say this is typical behavior for Labs. Yes, labs are fun, excitable and love to play, but they don't have to be crazy. It's not even healthy for a dog to be that hyper. They can never relax, they're always panting, fidgeting, and on edge. But thankfully, Chloe's owner wanted something different for her and gave me a call. After only a few minutes of working with Chloe, her owner was in shock, seeing a whole new side of her. "I've never seen her this calm or good," she said. "Thank you. Thank you so much." Is your dog crazy? 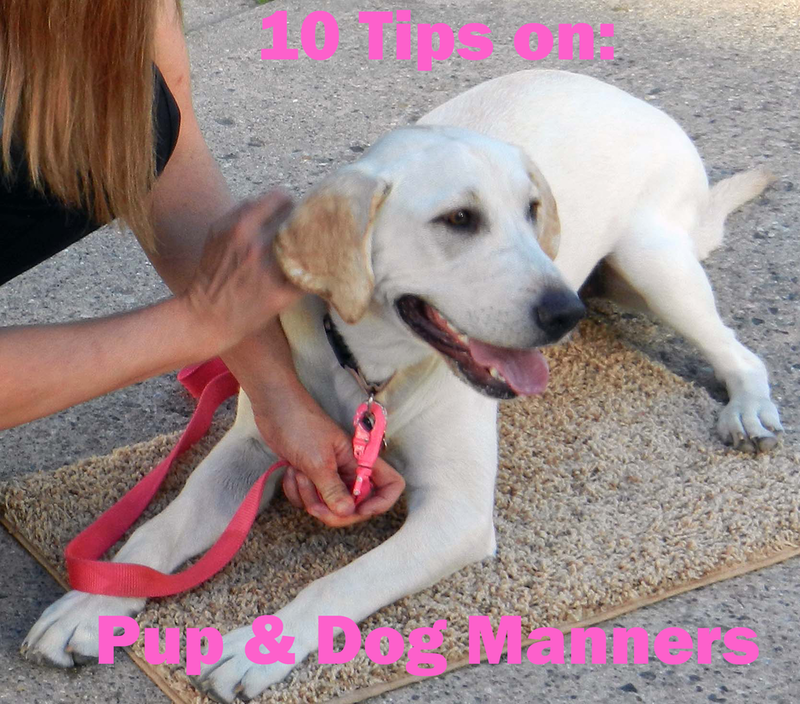 If so, here are 10 training tips to help them to mind their manners. Every time they come in from outside, make them sit and stay for a few seconds (build up to a few minutes) before releasing them. Make sure you exercise them--puppies and dogs need at least an hours walk once per day and 20 minutes of play time twice a day. Never reward them for unwanted behavior. Mean what you say and say what you mean--a spoiled dog will be like a spoiled kid if they know they can get away with it, they will. If your dog is still crazy and won't obey you, I would love to help. In my private dog training sessions I will teach you everything to successfully train your puppy and dog all the basic and advanced obedience skills, while incorporating excellent manners and breaking bad behaviors. My private sessions are booking up fast, but I have a couple of openings, so the sooner you contact me the better. Most puppies and dogs require 2-4 sessions, but their behaviors are better and they're more obedient after just one. We also offer Group Classes, but they are booking up fast, so please let us know you're interested. Contact Lisa Freeman Today! Lisa is an AKC Evaluator, Dog Trainer, and Certified Pet Therapist who travels all over Michigan to work with dog owners on obedience, aggression, and behavior modification. She has been rescuing and training dogs for more than 14 years and specializes in obedience, pet therapy, aggression, dominance, service dog training, and agility. She also offers AKC Star Puppy, Canine Good Citizen, and Community Canine, both classes and testing. She also works to rescue and rehabilitate those dogs that would otherwise be put down. In her community Lisa is AKA The Dog Whisperer or Dog Lady.